Daryl Gibson is staying at the Waratahs. 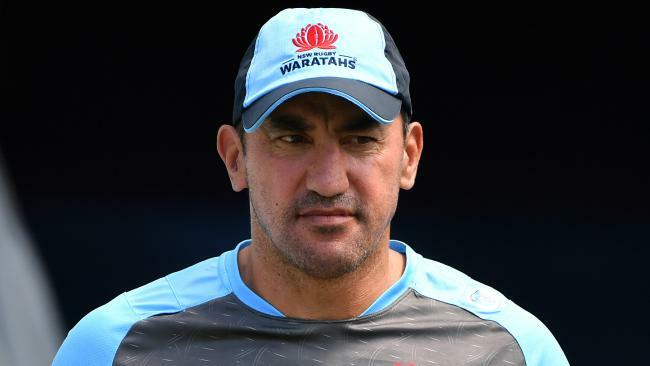 WARATAHS coach Daryl Gibson has got his wish after landing a one-year contract extension which will see him lead the NSW Super Rugby club through until the end of 2020. The former All Blacks centre has coached the side since 2016 after previously serving as Michael Cheika's assistant. Gibson had poor results in his first two seasons and was under pressure to keep his job before piloting the Waratahs to the semi-finals last year. "We are really pleased to have Daryl staying on board until the end of 2020," Waratahs boss Andrew Hore said on Tuesday. "Daryl has been a big driver in opening up our players and support staff to importance of giving back to the grassroots and helping reinvest in the game at the community level. "He's instilled purpose and identify in all that our players and support staff do. "For Daryl, the focus has been on putting the structures and systems in place to not only bring through the younger talent, but invest in coaching and support staff. "It hasn't been all smooth sailing over the years, but I'm a firm believer that during the 'dark times' comes great learnings and Daryl has been able to ensure we have better systems and processes in place that will continue to develop our game in New South Wales. "It is great for our state to have him with us until the end of 2020, but more than that, we can already see first hand the legacy he is building to ensure the game is in good hands for the long term." 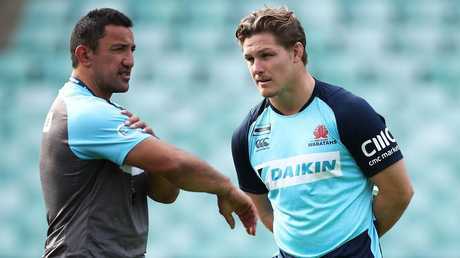 Waratahs coach Daryl Gibson talks to captain Michael Hooper. Gibson was delighted to confirm his future before the Waratahs kick off their 2019 campaign against the Hurricanes at Sydney's Brookvale Oval on Saturday. "It is a real privilege to continue to serve NSW rugby for another season," Gibson said. "I've been very open that I want to bring the next generation through as well as bed down the systems we have been working hard to put in place to keep our best rugby talent in the game. "NSW Rugby has been very focused also on coach development and I want to also look to cement the coaching team and support staff we have built and who have bought into our vision for rugby in New South Wales.